On Sunday, December 17th, St. John Baptist Church held its annual Candlelight service in the Johnny Mercer Theater at the Savannah Civic Center. Over the last few weeks, St. John Baptist Church partnered with NIA, the Neighborhood Improvement Association. 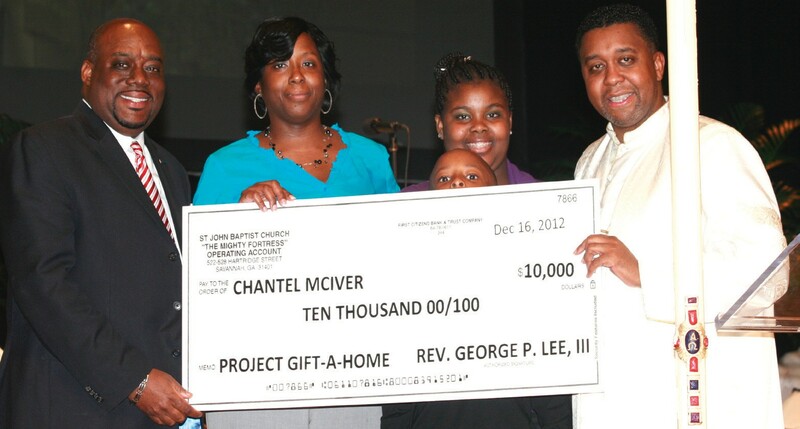 To that end, Chantel McIver and her family were gifted $10,000 in down payment assistance from the church. For more information, please call me at 220- 8016.